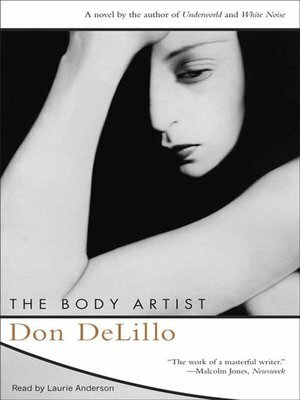 For thirty years, since the publication of his first novel Americana Don DeLillo has lived in the skin of our times. He has found a voice for the forgotten souls who haunt the fringes of our culture and for its larger-than-life, real-life figures. His language is defiantly, radiantly American. Now, to a new century, he has brought The Body Artist In this spare, seductive novel, he inhabits the muted world of Lauren Hartke, an artist whose work defies the limits of the body. Lauren is living on a lonely coast, in a rambling rented house, where she encounters a strange, ageless man, a man with uncanny knowledge of her own life. Together they begin a journey into the wilderness of time — time, love, and human perception.